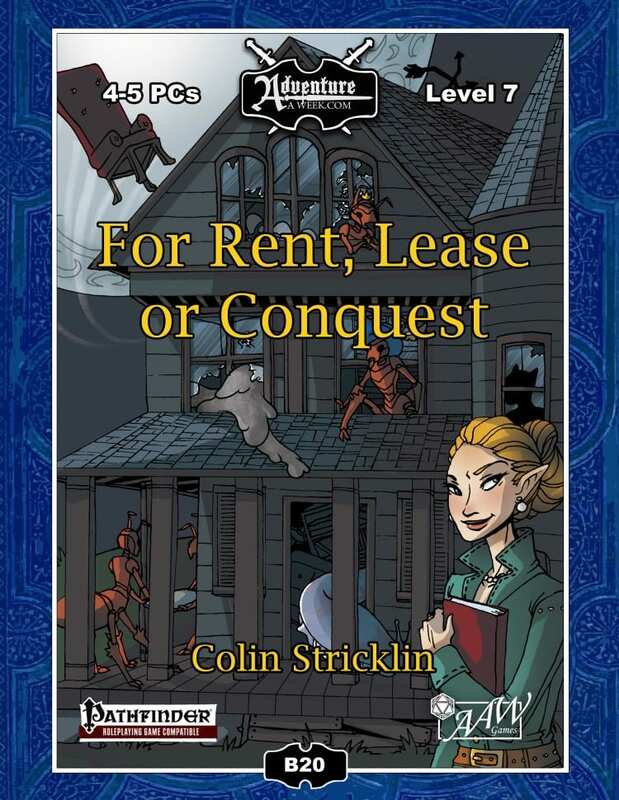 A Pathfinder/3.5 Compatible Adventure for 4-5 level 7 PCs by Colin Stricklin. There comes a point in every adventuring career when a guildhall becomes a necessity. After all, where is the fighter going to hang his trophies? Where is the wizard going to perform his arcane experiments? Fortunately for the PCs, Edgewaith Manor is free for the taking. Unfortunately, it’s a bit of a fixer-upper. There’s some really bad mold in the bathroom, the furnace is temperamental to say the least, and the whole place is infested with interplanar ants. Such are the joys of home ownership. Even worse, a group of treacherous real estate agents want the house for themselves, and they’ll stop at nothing to get it. Once the PCs gain access to the manor’s magical deed, they will have to work quickly to rearrange the rooms, populate them with traps and troops, and prepare to defend the house. 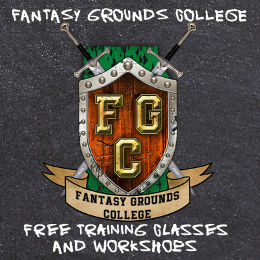 In this adventure, the party has the rare opportunity to build a dungeon for the GM! 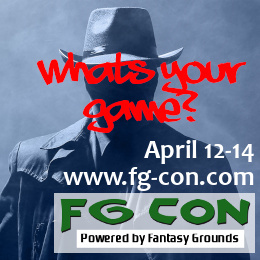 A Pathfinder adventure of house hunting, or being hunted by a house… Familiarity with playing Pathfinder preferred. Pregen PCs will be provided. What selection/assignment process do you plan to use for the pregens ? I think I’ll give Sindriza, the half-orc Bloodfire Sorcerer a try. She seems an interesting choice. Sounds good, I’ll get the character sheet sorted out in FG. 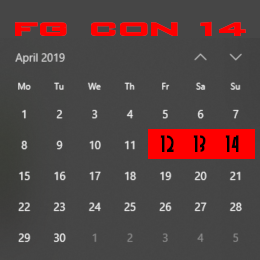 Got room for a FG Con newb that plays in one of Keven’s FG weekly games? I’m open to playing whatever class is needed to round out the party. I’m not great at sticking to a lawful alignment, so my preference would probably be something non-lawful and non-evil. Yes, of course – you’d be very welcome. Hmmm…. a spellcaster, a rogue, a cleric… guess I’ll try someone that can swing a weapon. Kind of love the image of the dog-rider knight, so may I try the paladin? Thinking through it some more, I am not sure how a paladin would fit with a mostly evil party. Was not looking to play a dwarf, but maybe the barbarian would be a better fit? Hello everyone, I am interested in the rogue pregen if it is still available. I’d like to play as a Cleric, but the LVL 7 pregen is not really the healer type. would you have an issue with me making one then sending you the FG file? We can just use the PFS level 7 cleric pregen. She’s pretty good at healing. Dave’s going to play a level 7 fighter (the PFS pregen Valeros).